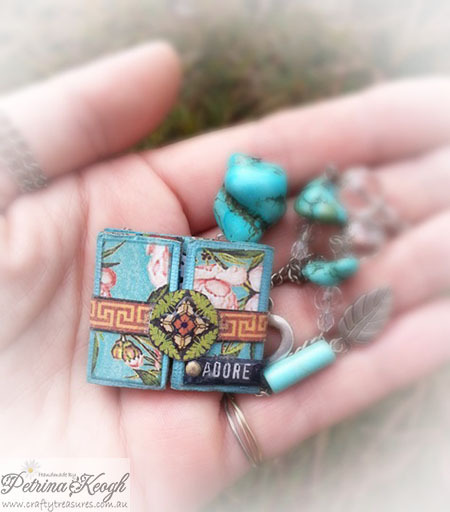 Hi Crafty friends, Today’s project is a miniature Double Tri Shutter Card necklace. 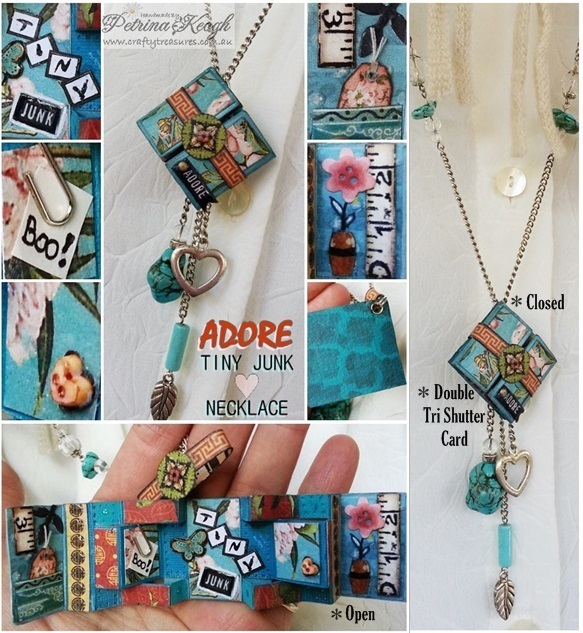 A wonderful combination of tiny, paper crafts & jewelery. I have been totally fascinated and I adore all things miniature or tiny for as long as I can remember. I especially like that the fact that this is useful and not just tiny or paper crafts, but that I can accessorize and wear it. Generally Tri shutter cards are an average greeting card size closed and making many tri shutter cards over the years, I had fun making this into a tiny one that I could wear. Keeping in mind there wasn’t a lot of room for too much, I used up some Graphic 45 scraps, ephemera, and added a tiny paper clip & heart button, to embellish it. Closed it measures: 1.3 x 1.2 inches. Open it measures: 5.4 x 1.2 inches.